We’re the experts in our field Since 1979! We provide maintenance history records for insurance claims! Custom Chimney Sweep Seattle & Masonry Repair Since 1979! Mad Hatter Chimney Sweep Seattle, WA not only cleans! With Mad Hatter you not only get quality service, bonded, insured and licensed master sweeps. You also get peace of mind, free masonry estimates. Chimney cleaning prices starting at just $139.95! Mad Hatter can also repair your chimney, install chimney caps, full service masonry work, clean and de-critter dryer vents. When was the last time you had your fireplace cleaned? Many people forget just how important regular fireplace and chimney maintenance is to a home. With winter always nipping around the corner, fireplace care and cleaning is a must for any home owner and family. With the care and know how to get the job done, Mad Hatter Chimney Sweep is there to service your chimney! Bonded, licensed and insured, burn safe with our 21 point safety inspection. Seattle, WA is the diverse and special place that we call home. The hot summers and chilly winters make living in Washington state a great experience. 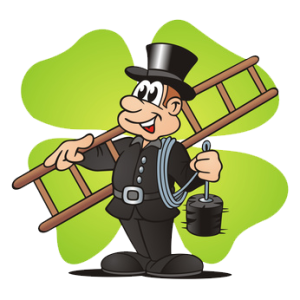 We at The Mad Hatter Chimney Sweep Seattle want to ensure that your house and loved ones are protected from not only those cold nights but also the dangers associated with chimney fires. People needlessly lose their homes to preventable fires. The folks at Mad Hatter Chimney Sweep are here to give you peace of mind. We’ll come out to assess your fireplace and chimney. The people at Mad Hatter are here for you. Bonded, insured and licensed, Mad Hatter is also a certified master chimney sweep. They are also certified to clean free standing wood stoves, repair crown moldings and fireplace mantles, build and re-mason chimneys and re-line existing chimney structures. Mad Hatter Chimney Sweep has been serving the greater Puget Sound since 1979, committed to detail, service and quality they will continue to be the number one for customers across Washington. Winter is a great time to sit by the fireplace, but it’s important to know if you’re fixture is in need of repair or maintenance. Mad Hatter Chimney Sweep will come and give a 21 point Seattle chimney inspection. We will cover in our inspection: flashing installation, leaks and leaking problems, down drafts, smoke coming in the house, and various masonry, restoration and fireplace repair. Mad Hatter Chimney Sweep Seattle does apartment and condo fireplaces and chimneys, whether it’s a cleaning and ash removal to masonry work and restoration. If you are in need of brickwork, Mad Hatter has got you covered! We do brick work, cobblestone, tiling, flagstone and interlocking pavers. We can make you’re apartment or condo deck, veranda and patio something special. Call us for a inspection or free estimate . Apartment dryers are some of the hardest worked machines for laundry, they break down and clog much faster than a home dryer. That’s where Mad Hatter Chimney Sweep comes in, we not only clean chimneys, we also unclog apartment and home dryer vents. It’s all you may need in order to have cleaner more efficient working dryer system. I live in an older building and my unit has a fireplace, that actually worked! After looking at prices for a certified chimney sweep company in the Seattle area. I went with The Mad Hatter Chimney Sweep. They had the best price for what I wanted cleaned. They were on time and he took his time to tell me what they were going to do and what I should do in order to keep my fireplace working. I have no complaints, an excellent job well done for a reasonable price. My husband and I just finished our dream home out in Redmond, Washington. The finishing touch came when my girlfriend suggested that we clean our free standing wood stove in our parlor. She suggested we call Mad Hatter chimney Sweep service. The stove looks gorgeous and it’s great in the winter! My wife and I were very satisfied with the service we received from The Mad Hatter Chimney Sweep Seattle. I called and scheduled a cleaning that fit when one of us was going to be home. They were very helpful and courteous and answered my questions. Their pricing was up front and their billing method was clear. We had our chimney cleaned and very happy with the service we received. I recently moved from Florida, my home has an old fashioned fireplace, but for some reason when it rained water would pool in my living room. I live in the Greater Puget sound area and was browsing the web for a good chimney sweep service to come out and tell just what was going on! I found The Mad Hatter Chimney Sweep Seattle, they came out and gave me an explanation and an estimate. Later that week I got my chimney capped, problem solved! Call us this week to schedule an appointment!